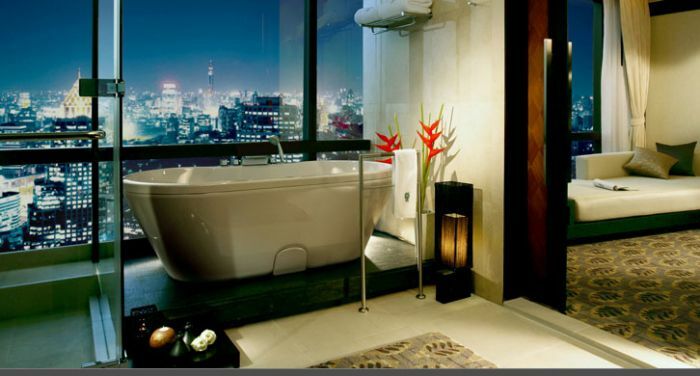 Within the heart of the bustling metropolis of Bangkok, look no further for a sanctuary for the senses than the Banyan Tree hotel with its luxury rooms, stunning panoramic views of the city and first-class service. 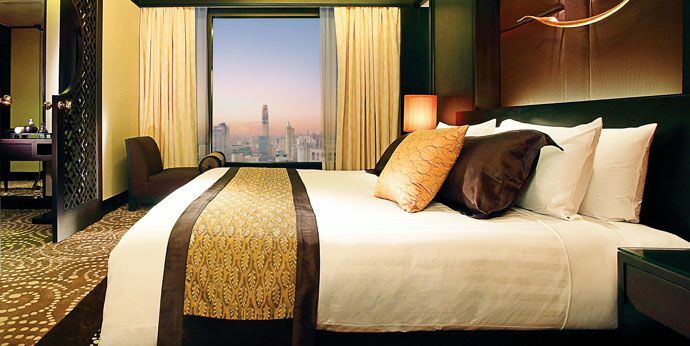 Floor to ceiling windows offer stunning panoramic views of the city from the rooms and suites warmly decorated with traditional Thai touches from dark woods to furnishings made from Thai silk. Enjoy the special experience of the Banyan Tree Club rooms for a further level of privileged services. We recommend venturing into Bangkok's most exclusive spa, the Banyan Tree Spa to indulge in the Royal Banyan signature treatment derived from the Royal Thai Palaces which will leave you feeling as special as royalty. 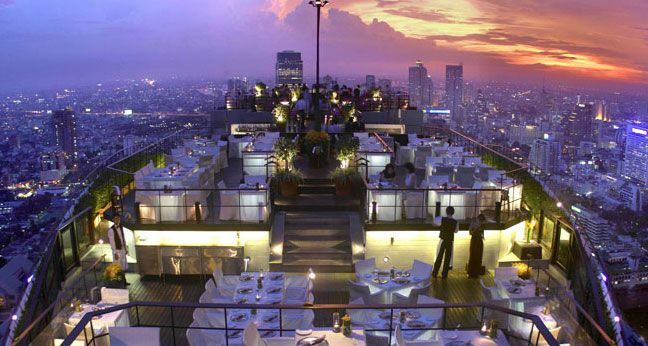 Dining at the Vertigo and Moon Bar is a treat not to be missed, for it is Bangkok's most famous rooftop dining experience. We like: The Royal Banyan experience at the Banyan Tree Spa. Best for: An iconic urban experience.